Police Canine Research Papers discuss how the police canines have evolved and changed over time. 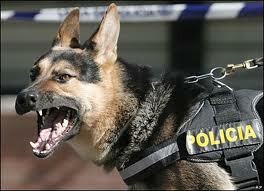 The roles of police canines have been changing and evolving, most noticeably over the last five to ten years. The reputations of these dogs struck fear in the heart of most suspects during the late 80s and early 90s as they were associated with mauling suspects on the run. These smart animals were viewed by civilians with a combination of distant admiration and some degree of fear. The civilian opinion sided with the aggressive dogs for the most part as civilians typically have little sympathy for violent suspects that flee from the police. However, the use of the dogs grew to the point of gratuitous force. Unfortunately for the dogs that were merely doing as they had been commanded it gave them an unwarranted bad reputation. The blame for the abuse that ensued from the use of dogs should fall squarely on the shoulders of law enforcement personnel. That is also where the reward should fall for the changing uses and image of these smart police canines. These animals have gone from feared, aggressive creatures looking to maul anyone on the bad side of the law to animals that spearhead the fight against drugs, terrorism, and even win dog shows in their spare time. First, this essay will take a look at one of the original uses of these canines and the lawsuits that lead to a change. In the mid 1990s in Los Angeles, attorneys Donald W. Cook and Robert Mann brought a series of lawsuits against the police department on behalf of people who had been bitten by police dogs. The lawyers argument was based on the fact that the suspects, although caught fleeing from the police, where already surrounded and unarmed at the time of the attacks. Sometimes these suspects were even handcuffed and apprehended when the dogs would attack. It was not considered an incident where a rogue or improperly trained dog was acting outside of the boundaries of command given by the controlling officer, but instead it constituted a gratuitous use of force by the police department. Many of these suspects were fleeing arrest for burglary or auto theft and commanded little sympathy from juries. However, the two attorneys persisted and offered chilling videotape recordings of the actual dog attacks. It cost the city $3.5 million to settle the lawsuits. Paper Masters writes custom research papers on Police Canine and discuss how the police canines have evolved and changed over time.